The well-wishes for the New Year gave way to newer and well-intended ones. This, even as our lives reach the Nth dimension of hectic schedules. Yet, half way through the year, yours (Happy New Year filled of knowledge) continues to resonate. If “the room where it happens” is any indication, this intellectual fulfillment—a primer to be in the proverbial room of decision-making—is indispensable to parlay life’s teachings into a society that welcomes ideological differences. 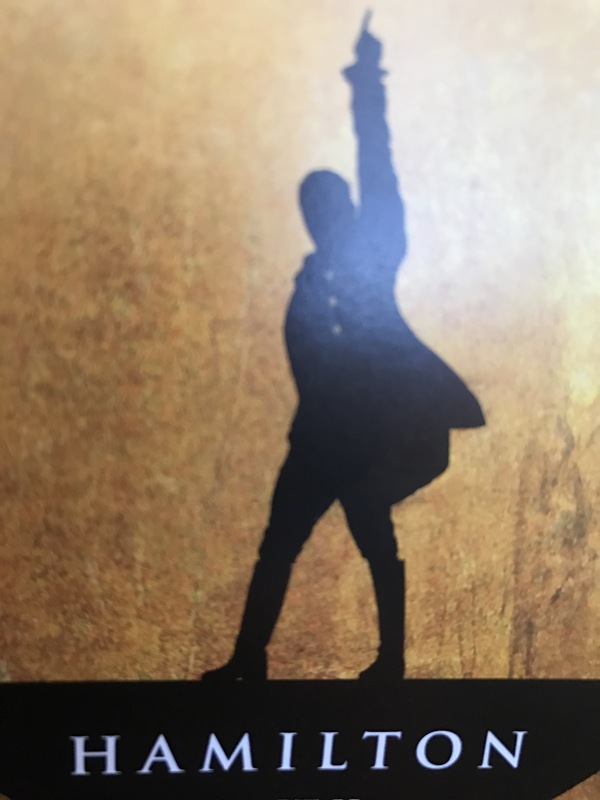 The riveting and sophisticated play by Hamilton musical (which I viewed on YouTube given your wonderful synopsis) suggests that informed citizens are a society’s vital lifeline to supplant tired ideas and complacency. The elite—those privileged to be in the room—sometimes ignore the elephant in the room while rejecting fresh perspectives. And, far too often those excluded are so far removed from the process that their sense of civic duty is an afterthought. Yes, sometimes illiteracy is the culprit. But, the loss of common decency is at play and is a pusillanimous foe that fosters ignorance and stunts progress. Sowing the seeds of intellectual curiosity and moral character is an individual responsibility (have good teachers is also crucial). We are always in a room—albeit a small room comparatively—and in it we make decisions that affect our lives. We’re not so much at an impasse as we suffer from an identity crisis on a global scale. Making an impact in the room while imparting wisdom to your son reminds us that anyone with a willing ear is as much a participant in the room as the bearer of wisdom. It demonstrates the power of good communication; one that continues to be a work in progress. Allow me, thus, to wish you Happy Father’s Day filled with disseminating wisdom, while being the recipient of their own! Kenel, please forgive this very delayed response to your insightful comment above. I have been making the “robust” transition from medical school to residency and I am now glad to return to this blog, now focused on this next exciting chapter. So much to respond to in what you said but what struck me most was your phrase “sowing the seeds of intellectual curiosity.” We live at time when certainty is valued over inquiry so your comment is indeed timely. Thank you for continued well wishes and thoughtful input. I look forward to more! What a wonderful treat to read of your transition from medical student to medical resident! Indeed, your sister (MD in the making) shared the moving and celebrated moment which encapsulates a medical school journey—flanked by loved ones near and far, without whom the experience might have been nondescript. This summer, a good friend of ours moved up north for her medical residency and the last few months (between the final flurry of exams, graduation, and moving) were no doubt taxing. I’m sure you can relate. Thrilled to know you’ve recovered from the very busy summer. Moreover, that you can now focus on applying the art of medicine (and even turning your future practice into a performing arts) for the benefit of your young patients! Wonderful Kenel! I look forward to hearing more of YOUR story as well . . .